Memorial Day: I hope that all of you had a relaxing Memorial Day weekend. I always pause to think about what life might be like without the sacrifices of service members who died to give us the freedoms we enjoy today. Not to be taken lightly or for granted; that is for sure. Thanks to all who weathered the rain for the parade; our students and staff enjoy being a part of it regardless of the weather. A Successful Kaleidoscope: Well, I know at least fifteen hundred people attended Kaleidoscope on Thursday night because we sold all of our advanced tickets! When I looked up into the balconies before the show started, I did not see any empty seats, and the empty ones toward the front of the first level were empty because of obstructed views. What a night. I knew it was going to be good, but as the performers and groups went on and off the stages I realized that we had a very special night in progress. For the first few years, I used to sit in the audience so I could take it all in, and now I enjoy being backstage cracking jokes with the students and having a little fun with them before they head out to perform. There is a great energy backstage that instantly translates into the performances that we get to enjoy. Another successful night, and we are all very proud. Athletics Update: Congratulations to a couple of record setters and a couple of pace setters. In track, Megan Delia won sectionals for the 400m hurdles with an amazing time of 1:05.32 and Evan Tuthill rocked sectionals as well with convincing wins in discus and shot put. Equally impressive on the golf course were Dylan Plis and Joe Morgan. Both endured really tough weather in the first round of state qualifiers, only to advance and medal and come in second in round two. Very well done. They continue to represent us in state competition. My sense is that we may see one of the two or maybe even both on television someday. They are THAT good. Last Push is Important: As we begin the month of June, let's remember that the last push for the school year is very important. Keeping students in their routines, making sure they get enough rest, and providing an environment for them to work at home is very important. Equally important is what they eat, so please continue to provide all that you have been even though the weather is finally improving! All for a Good Cause: I hope that all of you had a great weekend. I feel like I over did it with exercise, the Downtown Living Tour, and just plain old work. As you are reading this, I am playing one hundred golf holes in a row (we started at 6:00 a.m. and I play until the last putt drops on hole one hundred, which should be around 7:00 p.m.) for the McMahon Ryan Child Advocacy Center. As a team of twenty-four, we will end up raising about $100,000 for a great cause. I have to tell you though, that it will feel good to settle down for the rest of the week! 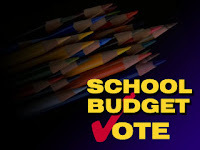 Budget Passes: Thank you for your support on the budget vote last week. It personally means a lot, and I do not take anything for granted. I am humbled with the 85% success rate and will continue to keep our winning formula going. Also, congratulations to Board of Education members Shawn Mitchell, Neil Widrick, and James Soper for being re-elected to the Board. Olympics that are Special: Last week I also had the pleasure once again to watch about eighty of our students compete in the Special Olympics. This event is simply wonderful and has grown over the years to include nearly twenty school Districts. We also place a lot of value on being one unit, and our athletes were cheered on by all of the students in their buildings as they left for and returned from competition, and about four hundred of our students in grades K-12 went to the games to cheer in person. If you have never been to watch or volunteer, it is definitely worth your time. Unified Basketball Season Ends this Week: Speaking of being worth your time, this week is full of opportunities. This afternoon beginning at 4:00 p.m. in the lower and upper gyms at the high school are the culminating games in the Unified Sports Basketball season. The games are competitive and fun. If you have time to stop in on the way home from work for even twenty minutes, you will be inspired for the rest of the week. I would estimate that the games and closing ceremonies should all wrap up by 7:30 p.m.
Other Events this Week: Boys and Girls Track, Girls Golf, Tennis, Boys and Girls Lacrosse, Baseball, and Softball all compete this week in sectionals; and we are excited about that. 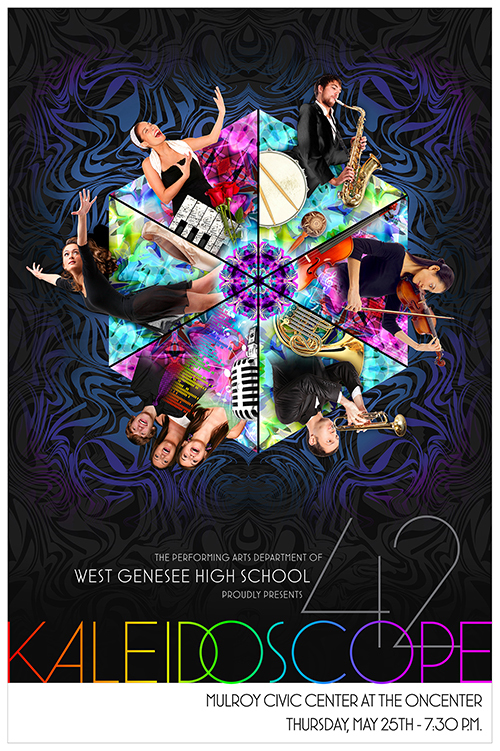 We are also very excited for Kaleidoscope that will take place this Thursday at the Civic Center beginning at 7:30 p.m. If you have been to Kaleidoscope in the past, you know what to expect. This year will be all that, plus a couple of talents that we will be paying to see on the larger stage so I hope you have your tickets, and I will see you there! There is School on Friday: Lastly, do not let your kids fool you into thinking that we have Friday off. Due to the number of snow days we used this year, we DO have school on Friday. That being said, enjoy your Memorial Day weekend next week and unless it is absolutely necessary, I will post again next Tuesday. I have often toyed with the idea of wearing a "GoPro" for a few days so people could really see and hear what I see and hear. If I had been wearing one on Friday through Saturday afternoon, it would have shown high note after high note. Car Crash Simulation Held at the High School: On Friday, and thanks to over two dozen people from our local emergency services as well as student volunteers (Sarah Channels, Mark Kopp, Grace Craig, Tracy Dowler, Joe Gauzza, and Avery Miller), Teaching Assistant Pam Agricola, school counselors, and our administrators, we held another successful Mock DWI Crash event for our senior class ahead of the Senior Ball. This is something I have been doing since before arriving at West Genesee because sometimes students need to see and hear something for it to sink in. For me, the power of the event never wanes. I have been told by a couple of people over the years that the exercise is a "waste of time" and "not impactful". At left is a candid shot of some students from Friday morning. I don't see "waste of time" or "not impactful" on their faces, do you? This is by no means a negative event. 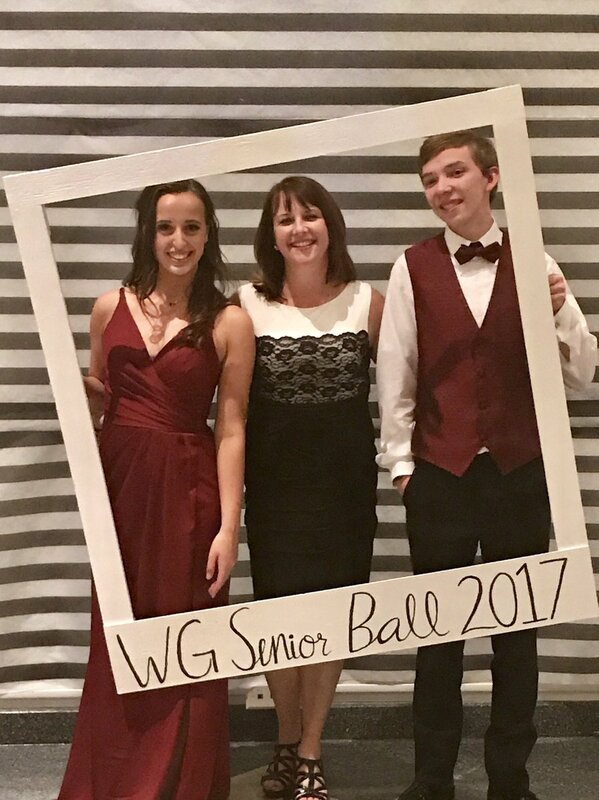 We believe in the Wildcat family, and this event brings the students closer as they prepare to spend the evening dancing and laughing together at the Senior Ball and then the All-Night Party (thanks to those who burned the midnight oil to help keep our students safe). Moving on to the Senior Breakfast: From the simulation, students headed to the Annual Senior Breakfast. While I was speaking to senior Kevin Donahue about the simulation, the breakfast, and the Senior Ball, a student entered the cafeteria alone and sat down at an empty table. Before he and I could exchange another round of sentences, a student from three tables away, walked up to the student and asked the student to come and sit with them. The student even grabbed a chair and carried it to the table as the rest of the table made way for their classmate. I turned to Kevin and I said "did you see that?". He said "yes, that is what we do." Very cool. A Classy Event: The Senior Ball was elegant and classy, and the dance floor got full in a hurry. Again, there were a few students who were sitting at their tables and other students went to them to ask them to dance. Those are the kinds of things that make me very proud to be a superintendent and should make you very proud as parents and community members. After the Ball: At the end of the ball, the students made their way back to the high school for the All-Night Party. Everyone had a great time. I got the "all clear" from my administrative team and the Camillus Police around 7:00 a.m. at which time I gave a large exhale and immediately relaxed. Thanks to all for a spectacular weekend. We have large senior classes but because they are such great role models, we would like this class to begin what will hopefully become a tradition of walking through the elementary school they attended while wearing their caps and gowns. This will help to set the stage for our younger students so they get an idea of what they have to look forward to! Annual Budget Vote: I am looking forward to seeing many of you this Tuesday at our Annual Budget Vote. Polls are open from 6:00 a.m. until 9:00 p.m. in our usual spot, the West Genesee High School Auditorium Lobby. Please remember to vote (and remind a neighbor). See you there and thank you! Special Olympics: In my past few blogs I have written about the offshoot of the Special Olympics called Unified Sports, where our students with disabilities compete in basketball games against students from other schools. The program has been amazingly successful. The actual Special Olympics are this Thursday at Cicero-North Syracuse High School. We have dozens of our students participating, and we will have busloads of students there to cheer them on. It is one of my favorite events of the year and the weather is looking good! Thanks for your continued support and enjoy the week! By now you have probably heard or read that we had a fight outside of the high school yesterday at dismissal time. As the situation was unfolding, members of the media were calling me because they were receiving calls from parents and community members about a large police presence at the high school. This is totally understandable considering the twenty-four hour news cycle we live in. I asked all of the media outlets to hold on until I could get the situation sorted out. All but one outlet agreed. That happens; we deal with it and move on. Anyone who has followed my communications over the years knows that I give as many details as I can, when I can. Yesterday, I sent out a brief overview of what happened. Absent from the communication were details that we did not know until we completed our investigation at approximately 12:30 a.m. this morning. I will try to make a long story short, but will include all of the facts that I think you need to know as parents, community members, and students, and how we are moving forward. First, the incident was not random, and the incident involved two students, in total, fighting. There were a few other individuals who were present and who watched the fight, but were not involved in the actual fighting. Some of those individuals are current students, and the others are not. Second, the actual fight lasted approximately forty seconds, however, the stir it caused, as well as the quick police presence (I will get to that), made it feel like twenty minutes. Third, one of the students fighting did, for a short time, possess a small pocket knife that he had taken from and returned to a vehicle he had been in. The knife did not make contact with anyone, but it is clear that he was in possession of it for a brief time. One of the individuals was in possession of a broomstick handle for a brief period. That was taken from the trunk of his vehicle, was in his possession for a brief period, and was returned to his vehicle. As you might imagine, if you were an administrator or School Resource Officer running to a "possible fight" in the parking lot, and you see the fight, plus a couple hundred students trying to get into their own cars and leave for the day, you would call for backup. The building principal called for backup. This created the large police presence that some of you saw or heard about. The positive take away from this is knowing that should we ever have a large emergency, we can bank on a large police presence quickly. They are to be commended for their professionalism and attention to detail, as are our administrators, who made all of the right decisions quickly and kept the situation from escalating. So where do we go from here? First, we apply the Code of Conduct to any student participants, and then we work with the Camillus Police on the criminal charges that may apply to those involved. I was very disappointed with the incident; but for reasons you might not think. We are a very large District but have great connections with students. I was very proud of our students who did all of the right things in terms of telling us about the fight and then getting out of the way. I was also very proud of our administrators and staff for quickly doing the right thing, as well as our School Resource Officer and the Camillus Police. We work very hard to avoid incidents like the one that occurred yesterday. In fact, the last even remotely similar case we had to this one was eight years ago, and I am disappointed that the clock has to start ticking again. As far as your children being safe? Absolutely. I do appreciate your trust and also appreciate your patience while we got everything sorted out. I will certainly keep you posted should we learn anything else. On another note, tomorrow night is the Senior Ball. Tomorrow morning is the simulated DWI crash that we hold for the seniors at 7:30 a.m. in the front circle. You will see police cars again, but in a positive way; to help our students to make good decisions on one of the most important nights of their high school careers. Thank you and enjoy the rest of the week. On the Run! I am very happy to have made it through the Mountain Goat yesterday and to have seen and run with so many Wildcats! The other runners must have been startled with so many shout-outs of "Go West Genny!" from seemingly everywhere. Those races are not easy undertakings, and I want to be sure to thank all of the volunteers, ambulance workers, and police officers who coordinated the event and kept us safe. Next up for me is the Corporate Challenge in June. Celebrating Students and Staff: Last week we had the pleasure of celebrating the successes of students and staff. 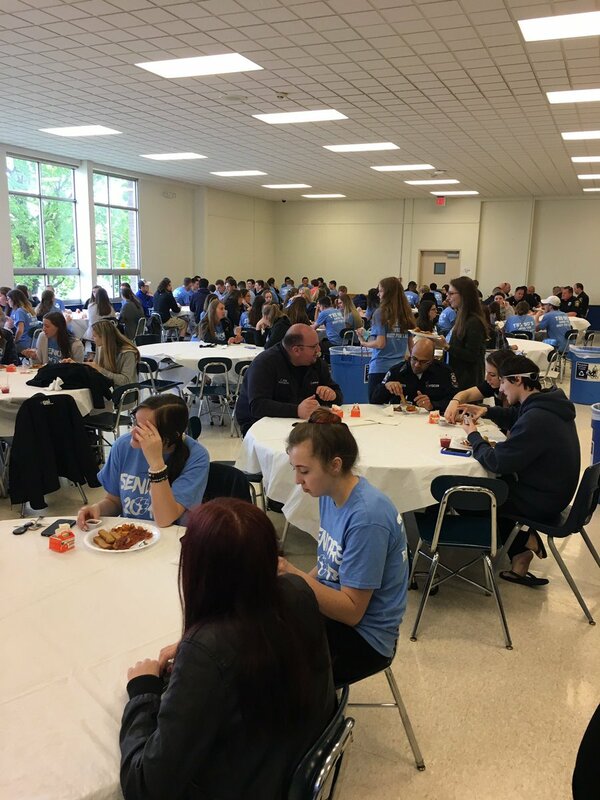 On Wednesday, Thursday, and Friday, we hosted the High Honor Roll Breakfast for the freshmen (156 students), sophomores (123 students), and juniors (143 students). I enjoy these events because I get to catch up with parents I might not have seen in a while and the events are for very positive things. Our seniors have an evening honor reception coming up in a few weeks. Congratulations to all! We were also the hosts of Senator DeFrancisco's "Teachers of Excellence" award program. Special Education teacher Mary Philippone and Art teacher Kelly Moser-Vogler were selected from West Genesee. The senator did a great job in making all of the teachers in attendance feel welcomed, appreciated, and comfortable. We would be more than happy to host the event every year (hint, hint). Athletes Compete: Rain has really messed with the sports schedule, but last week our Boys and Girls Track teams continued to dominate and our Girls Lacrosse team got a great come from behind win over rival CBA. It is hard to believe, but the end of the regular season is already in sight! 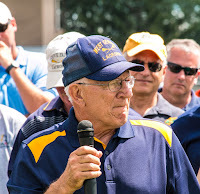 A Big Announcement: On the Boys Lacrosse side, coach Messere announced to the media that he will be retiring at the completion of next season. It will also signify the end of his fiftieth year of coaching. When I ask people to describe coach Messere, I often hear the words visionary, pioneer, and champion to describe his influence on the game. As always, when someone of his stature and prowess announces that they will be leaving, the first question is "who will replace him?" Right now coach Messere is still on our sidelines until the end of next year, and we want to keep the coaching staff and players free from distraction. Mr. Burns, our Athletic Director, and I will make sure that his replacement will continue our tradition of high standards and excellence in boys lacrosse. As that replacement process takes place, we will be sure to keep you posted. Senior Ball, Already? This Friday is the Senior Ball, followed by the All-Night Party at the high school. At 7:30 a.m. on Friday in the circle at the high school, seniors will be experiencing a simulated DWI crash. This is something that we began in conjunction with local fire departments, police, ambulance, county coroner, and District Attorney's office, in 2009. Even though the students "know what is coming" because of what they have heard from older classmates, the impact is great. You can help us in two ways next Friday. The first is to make a donation to the all night party. Almost all of our senior class attends the Senior Ball and just about everyone attends the All-Night Party. In fact, there are seniors who do not attend the ball but go to the All-Night Party after. 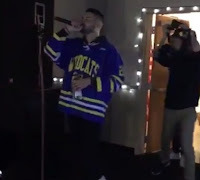 They will take any donation you have in order to make sure that every attendee gets something, is fed, and that the entertainment is top notch. If you would like to donate, you can contact my administrative assistant, Eileen Conboy at 315-487-4562 or econboy@westgenesee.org. She will make sure that your donation is passed along to the correct people. The second thing you can do is just enjoy and appreciate that this is a "big night" for our seniors. Anything positive you can say or do for them goes a long way. This includes smiling when your neighborhood is full of cars for pictures! 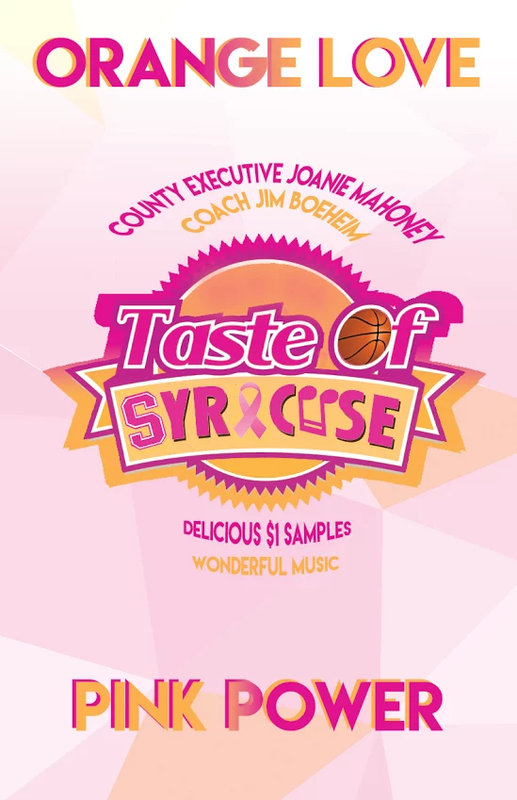 Poster Contest: Lastly, sophomore Tori Rech is competing to have her poster design to be selected as THE poster for the annual Taste of Syracuse. 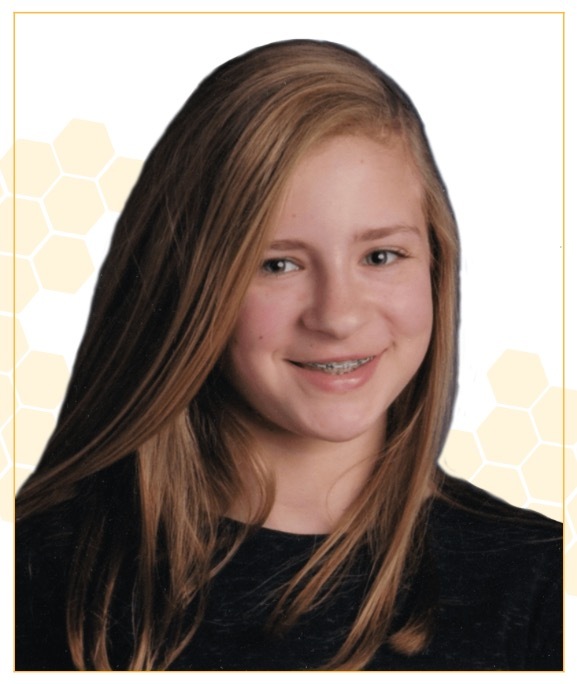 This is what it looks like; and you can help her to achieve her goal by clicking here to go to Facebook (Taste of Syracuse page) and "like" to vote for her poster! Thanks for the support and have a great week! A Great Night to be a Wildcat: Another successful Junior Prom is in the books! My wife and I had a blast watching the students exit limos and fancy cars and head into the event. 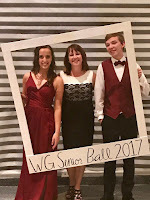 We have attended twenty-four junior proms together, and we agreed that over the years the only real changes for the boys have been shoes, ties, and vests and color and length of dresses for the girls. At the end of the day, they have been and still are, excited young adults on prom night. You should be proud as community members and parents at all of the compliments I received from limo services, restaurant managers and owners, about how polite and friendly our students were. At the prom itself, prom goers had a great time taking pictures with their phones in front of back drops that were created by students and staff. The photo booth was also a hit! 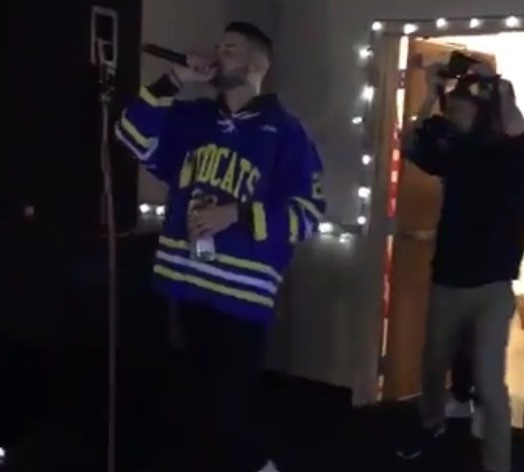 Around 10:45 p.m., and just after the prom king and queen were announced, graduate and successful singer Nick Sgroi (Sig Roy) surprised the kids with a two-song set. They loved it. After, he was gracious with his time and stayed for pictures and handed out free shirts. Not sure how many other junior proms have had a top music act perform at their prom! By midnight, the crowd had thinned out and my phone stayed very quiet overnight; which was a good thing. All in all, another great day (and night) to be a Wildcat! Showing Appreciation: Earlier in the week we celebrated Staff Appreciation Day. While there are individual days throughout the year to celebrate individual job titles, we feel that everyone in our organization has equal value so we should all be celebrated at the same time. Our Board of Education members take time out of their schedules (many take personal time and vacation days) to visit with all of our employees (even second shift) and thank them for their service. I think they enjoy doing this as much as our employees enjoy hearing from them! 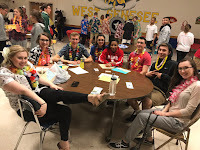 We were all surprised by a Staff Appreciation Day video put together by senior Eden Strachan where several students from all grade levels were interviewed and asked questions about their time at West Genesee. I rarely show emotion, so I just tell people that I was chopping onions while watching it. When I thanked Eden for creating the video she said that she, "was really happy to do it because West Genesee is truly a great district". In my line of work, there is no greater compliment than one that comes from a student! Time Goes Quickly: Advanced Placement exams began today and NYS Grades 3-8 Mathematics Assessments start tomorrow; which means that May is upon us. Next thing you know I will be writing about graduation. Thanks and enjoy the week!